Parents all across the United States of America, the Caribbean and around the world are investing in a second language education. College students and adults already seasoned in their careers are recognizing the need to obtain the skill of a second language in their respective fields and in the global economy as a whole! THE PROGRAM IS AVAILABLE TO BOTH ADULTS AND CHILDREN! 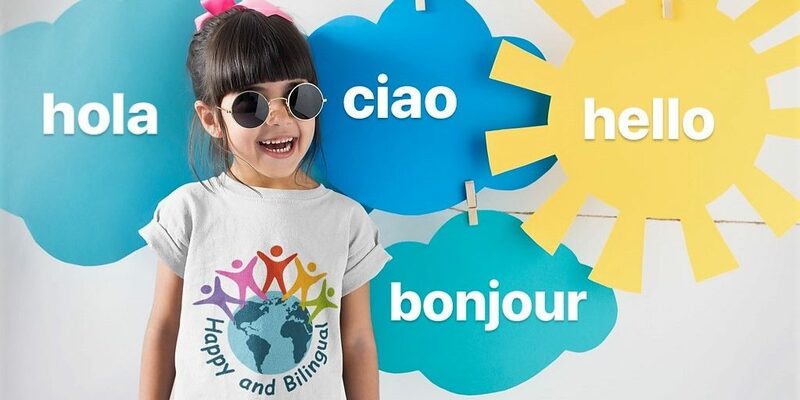 With the help Happy and Bilingual School, there is no longer a need to uproot your family and move to another country simply to learn a second language – that option is unfortunately not always ideal. 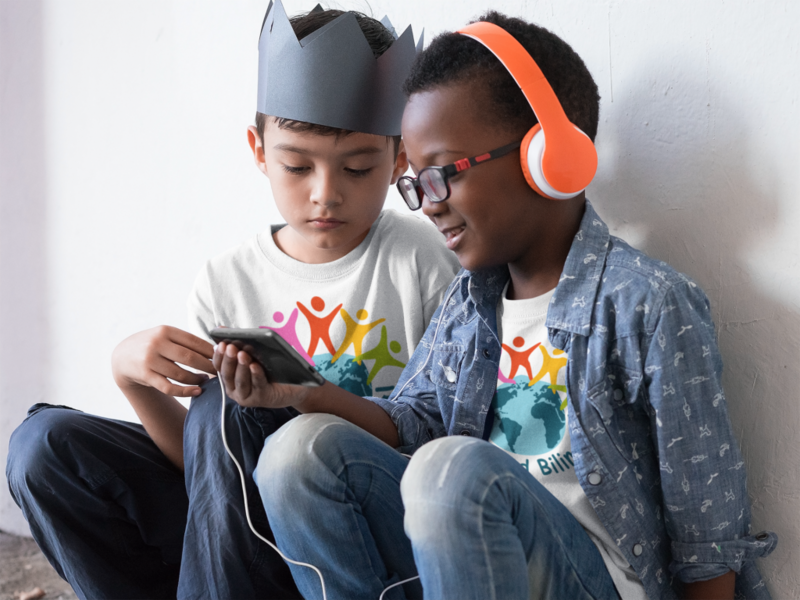 Happy and Bilingual School recognizes this hurdle and has invested in an award-winning teaching platform and is effectively teaching Spanish, French, Italian and English as a Second Language (ESL) online to its students in the comfort of their homes or offices in live face to face session with native speakers from around the world! It’s Simple! Enter your Virtual Classroom Using Any Device at Anytime! Using either a desktop, laptop, any smartphone or an iPad students can enter our award-winning virtual classroom to learn in live sessions face to face with highly qualified native speakers from around the world. Learning a language has never been more convenient and fun! Parents wishing to immerse their children into another culture no have alternatives to uprooting their families! One of the reasons we are able to achieve success as a school is because our teachers are highly qualified. Our teachers are located in different parts of the world, most of whom speak multiple languages. Our team has a wealth of knowledge and experience as it relates to language acquisition. 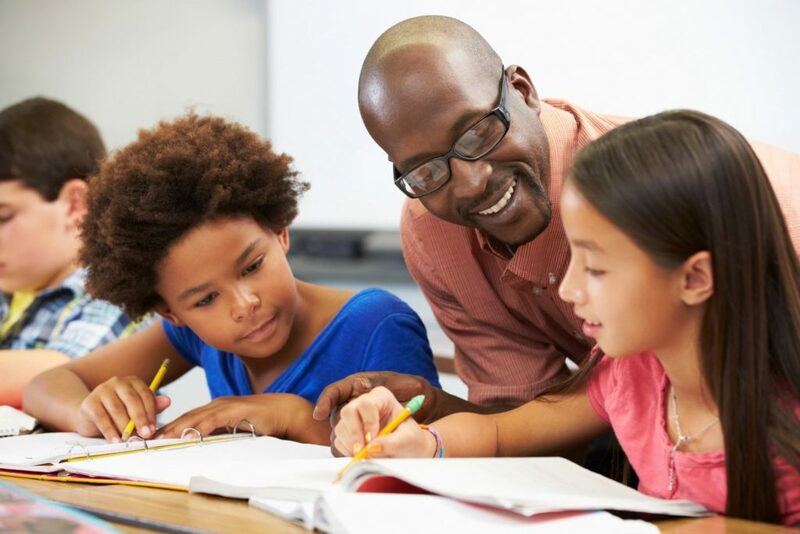 They have all experienced the value of being proficient in languages other than English and know first hand the challenges students may face and how to overcome them. Why invest in second language education? The global economy in which we now live demands a multilingual workforce! Every doctor, nurse, school teacher and social worker to only name a few could benefit from a second language often times get passed up for opportunities by their multi-lingual peers! Our online program offers private sessions that are tailored to each student’s learning style, online allows parents the opportunity to by pass travel or a commute and them of the hassle of rushing to yet another class – this learning experience is in the comfort of home. Our online program offers parents the amazing opportunity to have the world at their finger tips with native speakers hailing from all the major continents around the world! There has been a steady increase in the amount of dual language and immersion programs nationwide to meet the demands of parents ready to equip their children with the second language skills they are sure to need later on! In addition, not every school offer the requisite amount of hours of instruction for actual growth and development in a second language. It is unquestionable the benefits of one on one attention private sessions. We are offering families an opportunity enroll their children in one on one private sessions tailored and customized to each individual learner from the comfort of their very homes. 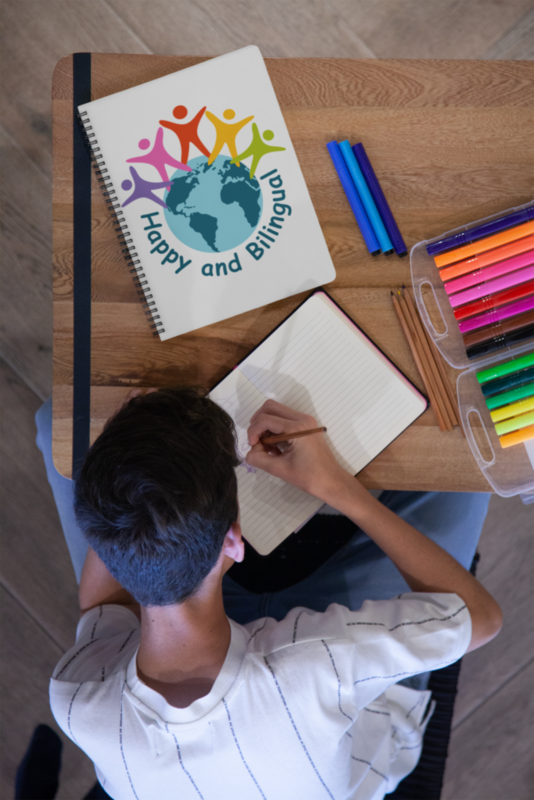 The English as a Second Language (ESL) Program at Happy and Bilingual School is designed to assist non-native English speakers achieve a mastery of their spoken, written and listening skills in English. The program is designed for Adults and Children who will learn in our virtual classrooms online from the comfort of their very homes. Enroll in Happy and Bilingual School’s online ESL program. It is one of the most convenient ways to get individualized attention and grow the skills you need in English. We can hardly wait to have you in our classroom! Globalization can either happen to you or you can BE READY! With the demands of our globalized economy Happy and Bilingual School has the solution! We know you are already busy in your respective careers and so we bring second language immersion experience to your door steps! Maybe you are already in college and you need to acquire a second language before you graduate to be ready for the world that awaits you! We applaud the efforts of parents who are investing the time and money to provide language education for their children. Today it is more important than ever for a child’s overall development to be raised equipped to compete in our global economy! Coming Soon to a Dallas Suburb near you in select schools! Happy and Bilingual School After School Program will be going into select schools to offer after care services to parents. This is a great way to make the hours your children spend in an After School Program COUNT! 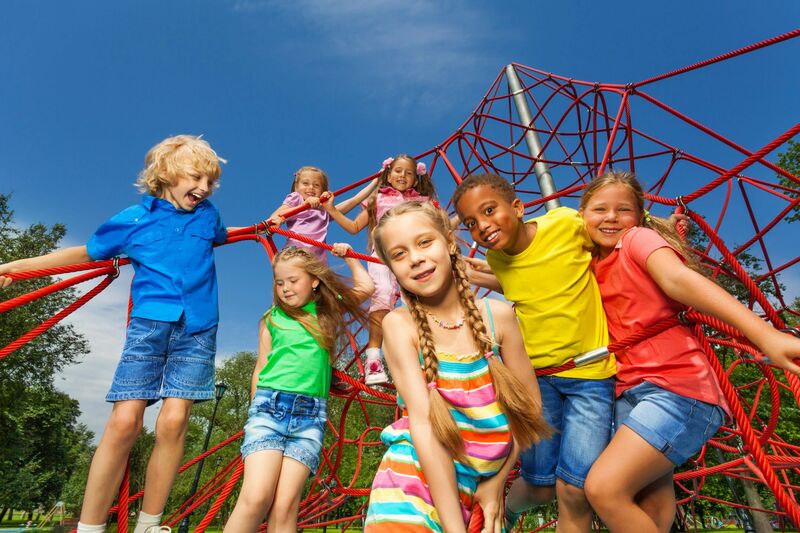 If your children are enrolled in an After-Care Program why not choose one where they have the same fun and educational activities but immersed in Spanish! What an amazing opportunity to expose them to the study of Spanish! The Summer Program is conducted in live sessions ONLINE in our virtual classrooms with Group and Private Sessions. Approximately one hour per day, Monday to Thursday with a native speaker. The Summer Program is offered ONLY in Spanish and French.